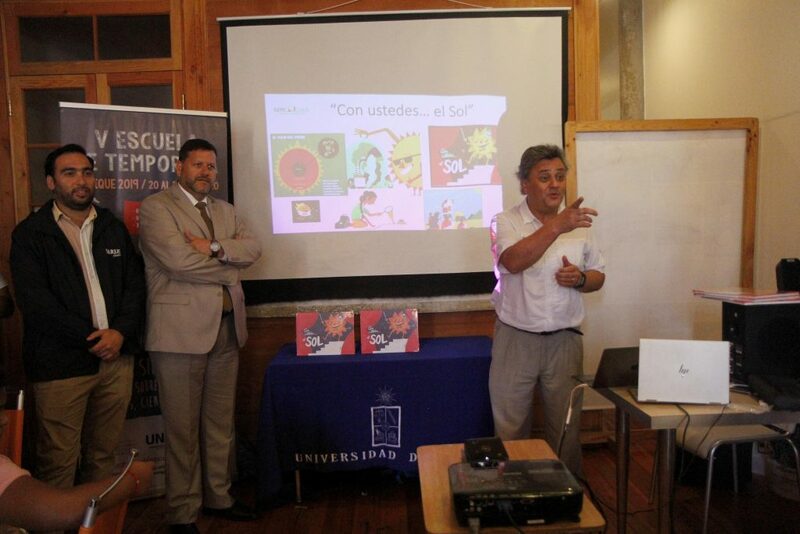 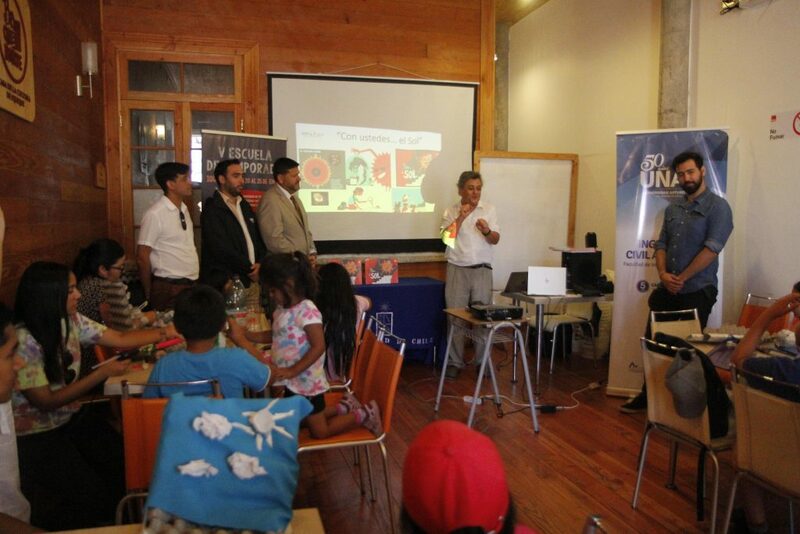 In a ceremony held within the framework of the 5th Season School of the University of Chile, SERC Chile director Rodrigo Palma donated copies of the book “Con ustedes … el Sol” to the mayor of the city, Marco Pérez Barría, who will deliver them to some municipal schools. 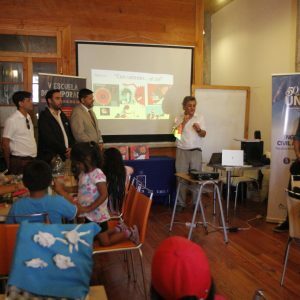 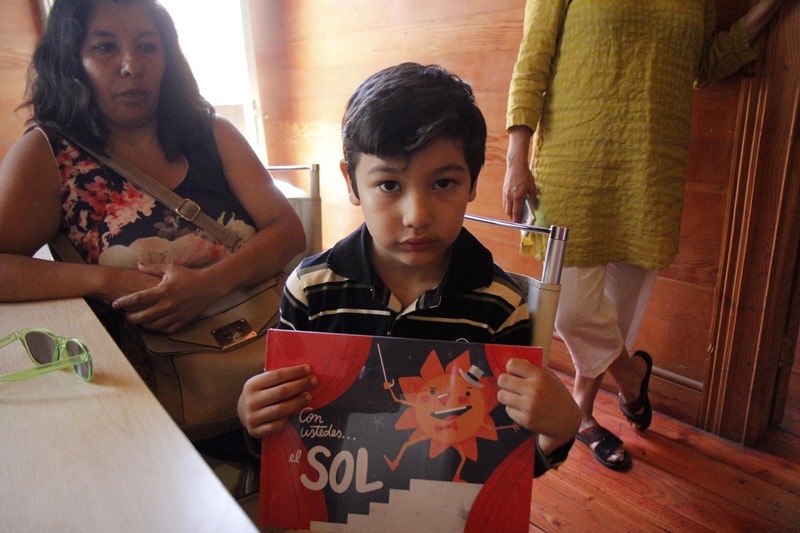 “Delivering this book is part of our SERC Chile mission to educate about this incredible energy that we have and the multiple ways to take advantage of it. 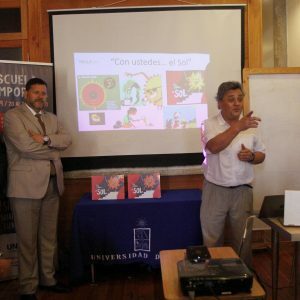 This makes us very happy, and we wish that, as we deliver it today in Iquique, it could be in all the schools in the country,” commented the director. 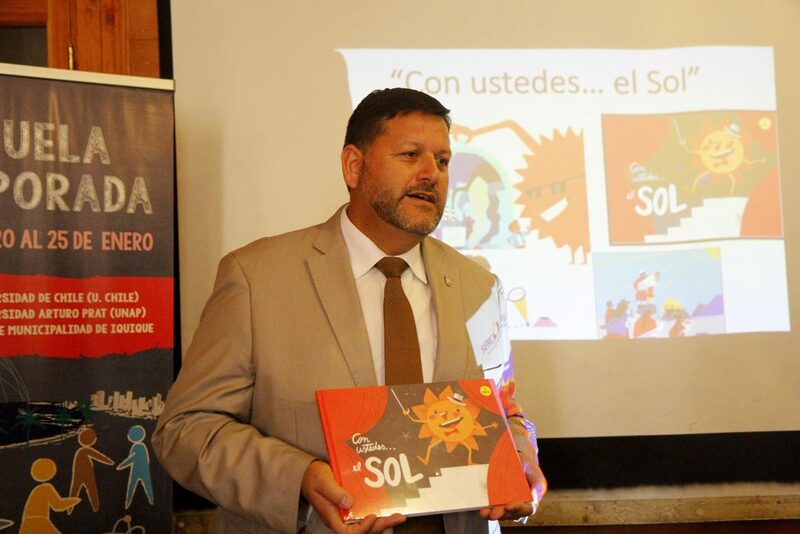 For its part, Mayor Pérez Barría received the books commenting that “the donation will be of good use for our children”. 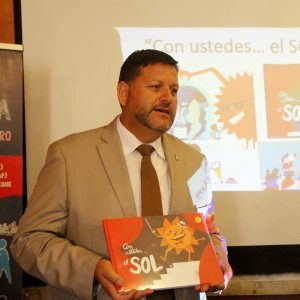 “There is much to learn, and considering that as a region we have the best conditions, it is essential that our children can see the development opportunities offered by this energy for our country and our region,” he added. Addressing the children present at the ceremony, Rodrigo Palma explained how solar energy works and the innumerable benefits of its use. 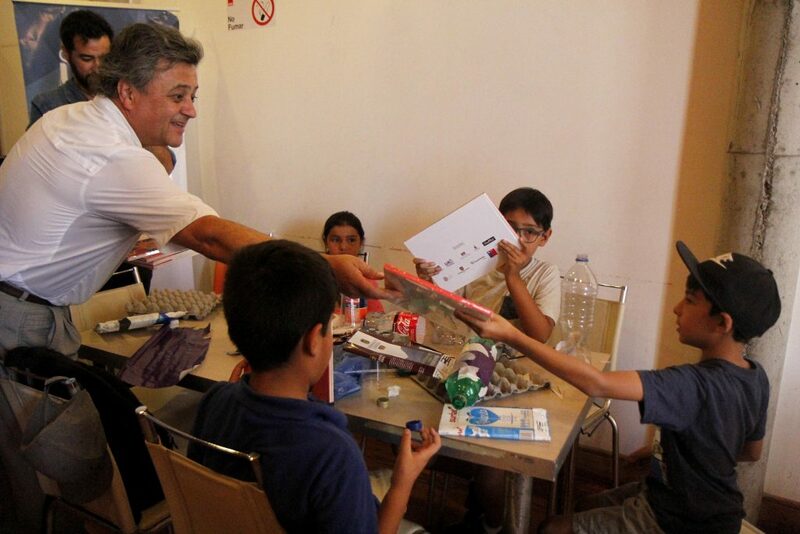 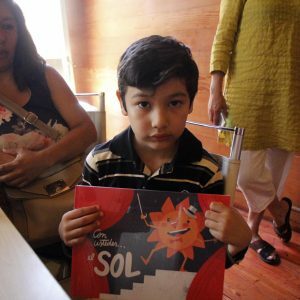 Through the pages of the book and the inclusion of new technologies, the book gets children to discover that solar energy is the largest source of renewable energy in Chile and an enormous source of wealth: Chile has the best radiation on the planet in the Atacama Desert, and could become a solar world power.